Like a beautiful Hawaiian quilt, we are a colorful tapestry of faith, weaving together believers and seekers; those who where born and raised in Hawai’i and those of us who found ourselves drawn to the islands. We come from different backgrounds and cultures, gathering around one table. We believe this to be an important witness of the Kingdom of God on earth. We are ‘ohana. We hold to the fullness of the Christian faith as we have received it, but we seek to practice the openness that Jesus displayed in his own life. He rejected judgmental religion and believed everyone had a right to a relationship with God. He welcomed everyone. So do we. Our parish ’ohana joins with billions of Christians around the world in seeking the truth and loving justice of God’s reign in our own lives and in the life of the world around us. We move with the mainstream of the Christian movement throughout the ages. Our understanding of God and life is deeply rooted in the Episcopal tradition. We stand at the center of our town. We are called to do something with those intersecting facts. We are committed to growing in membership and in depth of spiritual commitment. We seek to expand the ways we offer to people to explore and grow in faith, particularly with children and youth. As servants of Christ, we try to listen to the pain of those in need and to serve others. We seek an honest and powerful spirituality for ourselves and others. We practice a warm aloha. We let our worship be joyful. 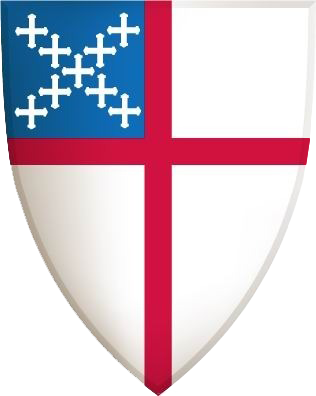 It is said that, “If you want to know what Episcopalians believe, come and worship with them.” What you will hear and see is that we believe that God is the loving and purposeful Creator of the universe. We believe that in Jesus Christ, God gave a singularly lavish gift to humankind. That in Christ, God makes real the promise of reconciliation of all. That the Church is the reality of that reconciling love in the world, and therefore the Church is to welcome all persons. That the Holy Spirit of God is active and alive today. That the Church--God knows--is not perfect. That there are no easy answers. That getting the questions right takes time and help, and that the right questions are themselves a gift. That regular worship and prayer in community with others really changes lives. That, with God’s help, we are called to seek and serve Christ in all persons, loving our neighbors as ourselves. That we are called to strive for justice and peace among all people, and to respect the dignity of every human being. And that it is a joyful privilege to invite you to join us in the journey toward this faith. We hope you will explore all that our parish has to offer, perhaps making St. Columba's Church, or St. James’ Church, or our Beach Mass, your Hawaiian parish home. We welcome the chance to offer you aloha.